A combination of low and high relief techniques can be used to accomplies the fantastic end product. 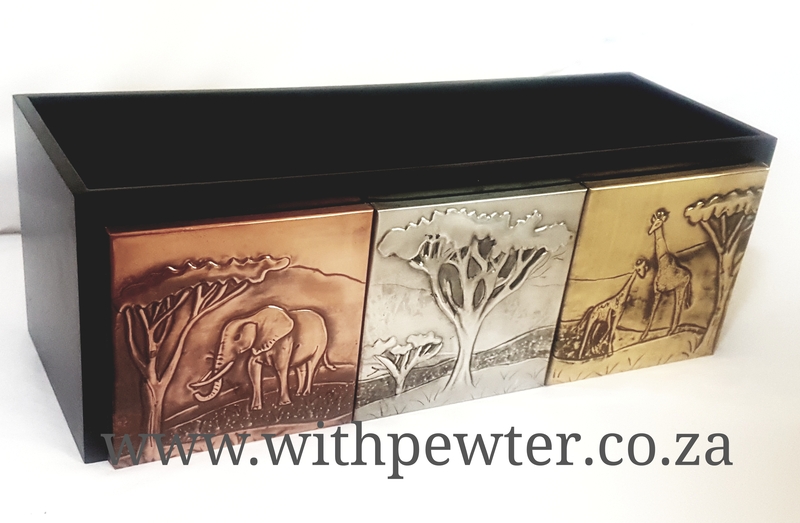 Pewter can be pasted on any wooden boxes, crosses, borders on frames or wooden edges. This is a popular product to make for gifts and decorations in the home.